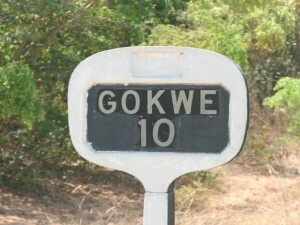 A Gokwe man died after being struck with a stone on the chest while fighting over a bar lady. Samson Mudzingwa (22) of Taruzeza Village under Chief Njelele died on Wednesday last week after he was struck with a stone on the chest by Tamburai Maware (32) while they were fighting over a bar lady who works at Matanda Business Centre. Acting Midlands Province police spokesperson Assistant Inspector Ethel Mukwende said on February 20, Mudzingwa was drinking beer at Tavaya shop when he proposed love to the bar lady . “Maware then entered the bar and also proposed love to the same bar lady. A misunderstanding rose after Mudzingwa heard about Maware’s advances on the girl. “The two began to fight and were restrained by Mr Albert Imbayarwo. Mudzingwa left but Maware followed him and the fight continued. “Maware then started throwing stones at Mudzingwa and one of the stones struck him on the chest and he collapsed,” she said. She added that Mr Imbayarwo followed them and found Mudzingwa lying unconscious besides the road and carried him to his home and left him in the care of his mother. On the same day, she said, Mudzingwa’s condition worsened and he died the following morning.